Great selection of life sized and realistic looking large stuffed bears, featuring a giant stuffed bear that is life sized. 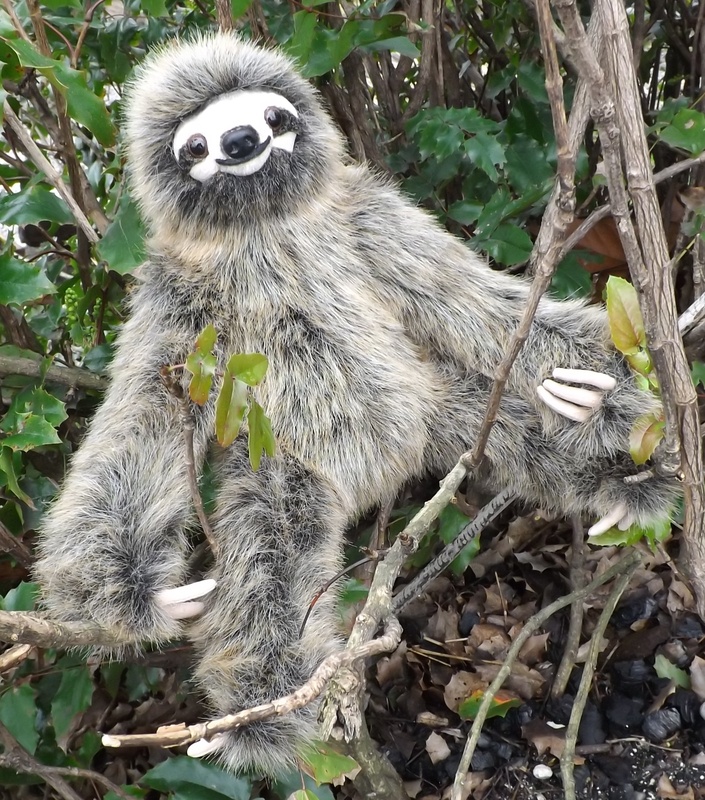 Huge collection of high quality jumbo plush animals and realistic looking large stuffed animals from the zoos and jungles of the world. Exotic large stuffed cats that are cool looking and life like. Check out the jumbo sized stuffed tigers and lions. 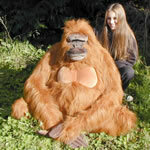 Lots of huge giant stuffed gorillas, life size orangutans, big stuffed baboons, large plush gibbons and more big plush primates in this fun section. Watch Out! This section is full of huge plush crocodiles and alligators, jumbo plush snakes and other big stuffed animal reptiles. 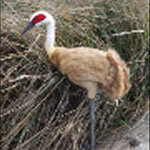 Amazingly realistic looking and life sized large stuffed animal birds and fowl of all types in this section. Lots of cool looking large stuffed marine animals in this section, including giant stuffed sharks, whales, dolphins and more! 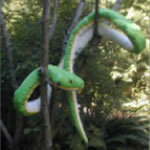 This section is devoted to the high quality, life sized stuffed animals made by Hansa Toys USA. 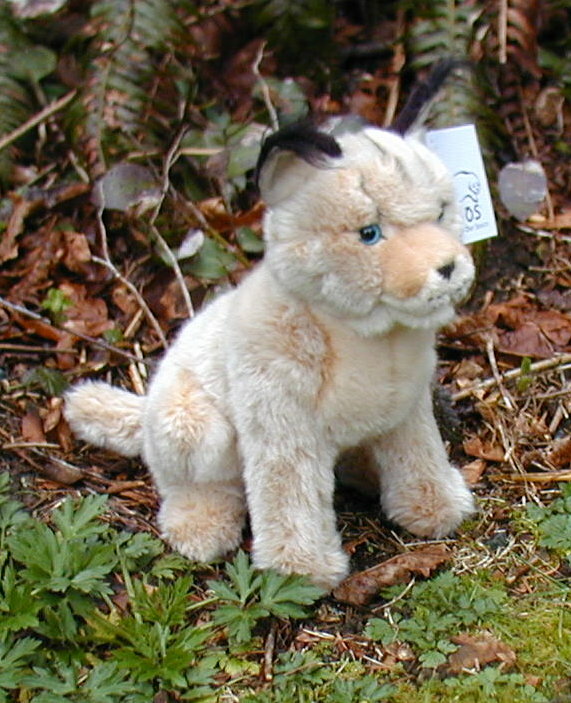 These premium quality stuffed animals are very life like and look real. 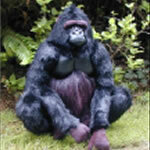 Animal lovers and kids alike love being around wild animals, especially the unusual and exotic ones. However, in order to see these animals you have to go to the zoo, and you can’t go or take your children to the zoo every day. 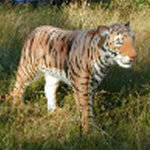 Large realistic stuffed animal toys allow you to bring these wonderful animals home to you. 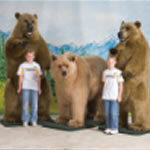 Huge and giant life sized stuffed animals can really make an otherwise boring room come alive with excitement. Little children will have big wide open eyes when they walk into a room with an extra large or jumbo sized plush stuffed animal looking back at them. 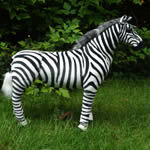 You will be amazed at how wonderful and realistic large and giant life sized stuffed animal toys have become. Some of these giant life size stuffed animals are truly works of art! The realism and detail of the biggest and best jumbo stuffed animals is truly incredible! No matter what your or your children’s favorite wild animals are there is a realistic huge or giant life sized plush stuffed animal replica that you or they will love. However, this is why it is so important to purchase a quality plush jumbo stuffed animal product. Cheap large stuffed animal toys that are not very realistic looking and are made from inferior low quality materials are cheap for a reason. Not only do they not look very realistic, but they will also rip, tear, fade and fall apart quickly. 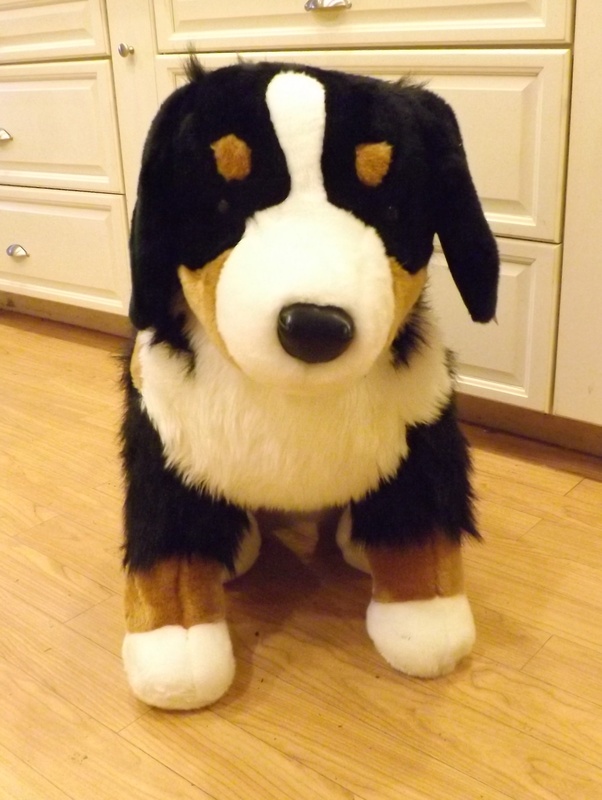 Whether the plush animal is for you or is a gift for someone else, you will want a high quality, realistic looking jumbo and giant sized stuffed animal that will last. Spending a bit more upfront on the best quality huge plush stuffed animals will often save you money in the long run over big cheap jumbo stuffed animals by not having to replace them quickly. Plus you or whomever you give the jumbo plush toy to will get way more enjoyment out of a realistic, well made, big or life sized stuffed animal toy. How many guys try to impress their girlfriends by winning them a jumbo plush stuffed animal toy at the fair? They will spend more money trying to win the large cuddly stuffed animal than they would by buying it outright. In this jumbo section of our online realistic stuffed animal toy store we offer a huge section of the best and biggest jumbo and even giant life sized stuffed animals! Some of these giant stuffed animals are detailed and realistic looking. Other plush animals are soft and cuddly and are fun to lay on and snuggle up to. 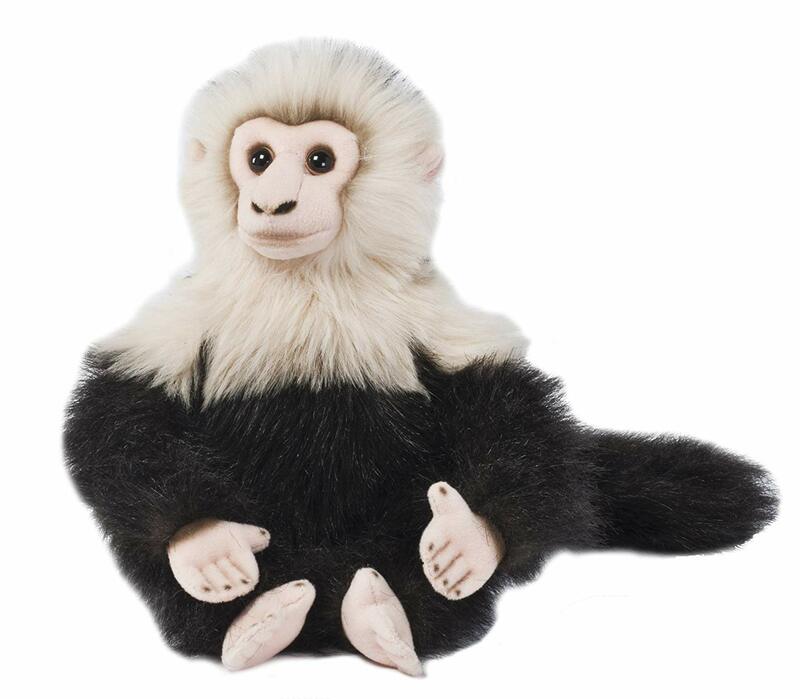 No matter what your favorite wild animals are or the favorite stuffed animal of the person or child you are buying a gift for you will find the biggest and best most realistic jumbo plush stuffed animal toys here. 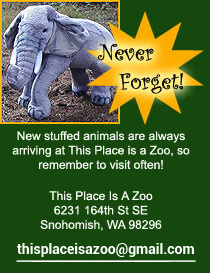 We have many different species of big stuffed animals to buy and we have separated them into easy to navigate categories. We also provide detailed descriptions of the giant stuffed animals and excellent custom pictures of the large stuffed animals in a natural setting. That in combination with having one of the largest selections of huge stuffed animal toys available on the web makes it easy to find the giant or jumbo life sized stuffed animal of your or your kid’s dreams! Being an online stuffed animal toy store we do not have the big overhead or other expensive operating costs of traditional children’s toy stores. These savings allow us to offer the biggest and best jumbo and huge life sized plush stuffed animals at the best discount prices possible. We make it easy and affordable for you or your kids to purchase the biggest and best giant stuffed animal toys! If you have any questions about any of our jumbo or huge life sized stuffed animals please let us know and we will be more than happy to assist you. Some of these giant stuffed animals will be too large to ship to international destinations, or to ship express in a cost effective way. 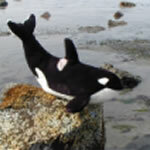 Because of this, please buy your large stuffed toy animal in plenty of time to avoid the huge shipping costs. So put on your safari hat and start your wild animal trek now. Click on the stuffed animal picture icons to go to the various categories of large stuffed animals until you find the giant plush stuffed animal that will make your day!